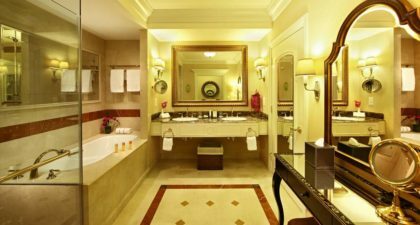 The Venetian Macao in Cotai is the city’s first integrated resort featuring stunning replicas of beautiful canals and architectural style that lines the waterways of Venice, Italy. 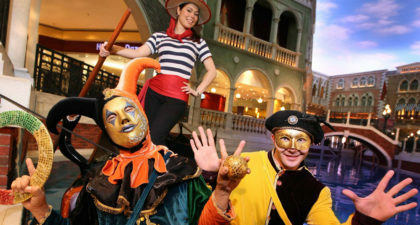 Visitors to the Venetian can glide through Macao’s largest shopping mall with a romantic Gondola ride through the San Luca, Marco Polo, or Grand Canal of Shoppes at the Venetian. For those seeking entertainment, the Venetian Theatre will enthral theatre-goers with its spectacular performances in the lavish setting, while the adjacent Cotai Arena, hosts a wide range of sporting events and performances from internationally renowned artists throughout the year. Featuring world-class duty free shopping, sensational entertainment and irresistible dining, the Venetian provides a truly luxurious experience – all under one roof. 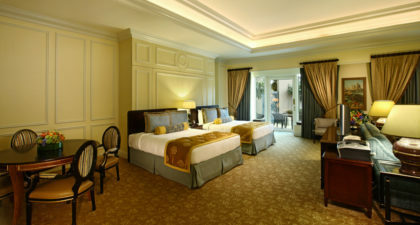 The resort has over 3,000 spacious suites, with prices starting at 1,500 HKD per night. 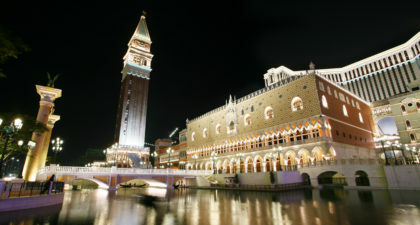 Visitors to the Venetian are encouraged to bring a light jacket to wear indoors, as the A/C may be quite strong, particularly in summer months. Long queues for check-in are also to be expected during peak season. Free shuttles buses are available, frequently throughout the day, to and from the Macau Outer Ferry Terminal and the Macau International Airport. 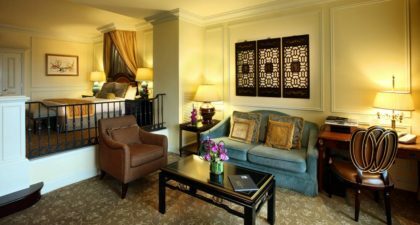 JW Marriot Hotel Macau has all the exciting ways for you to make memories with your kids!